David P. Ellerman works in the fields of economics and political economy, social theory and philosophy, mathematical logic, and quantum mechanics. His undergraduate degree was in philosophy at M.I.T. ('65), and he has Masters degrees in Philosophy of Science ('67) and in Economics ('68), and a doctorate in Mathematics ('71) all from Boston University. He has been in and out of teaching in economics, mathematics, accounting, computer science, and operations research departments in various universities (1970-90), founded and managed a consulting firm in East Europe (1990-2), and worked in the World Bank from 1992 to 2003 where he was an economic advisor to the Chief Economist (Joseph Stiglitz). Now he is a visiting scholar at the University of California/Riverside and a Fellow of the Center on Global Justice at University of California/San Diego. 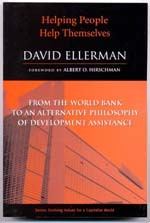 Helping People Help Themselves: From the World Bank to an Alternative Philosophy of Development Assistance. University of Michigan Press, 2005. Click here for a description and detailed table of contents. Paperback version pictured at left is now published and available at better bookstores online. Indian (South Asian) version published by Tulika Press. 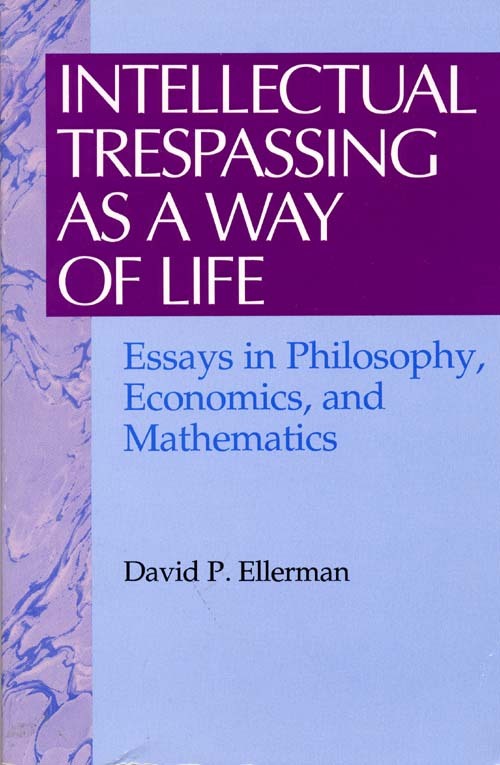 Intellectual Trespassing as a Way of Life: Essays in Philosophy, Economics, and Mathematics. Rowman & Littlefield Inc. 1995. Click title to download manuscript. 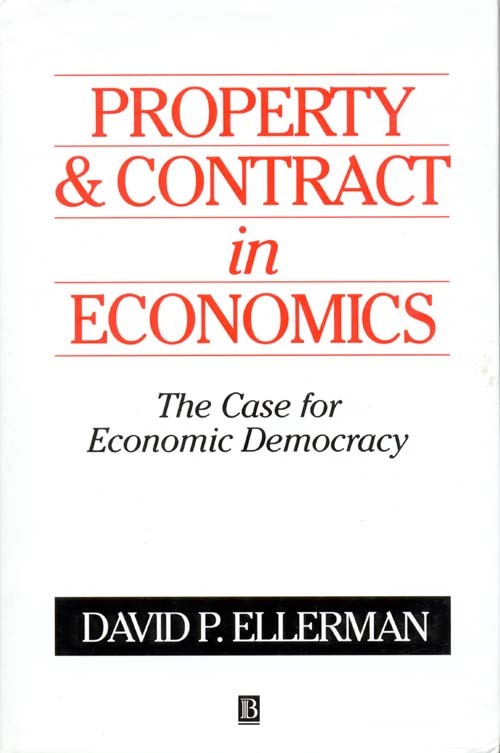 Property and Contract in Economics: The Case for Economic Democracy. Cambridge MA: Basil Blackwell Inc. 1992. Out of print with rights reverted to author. Click on title above for more details and to download for free a searchable pdf file of the book or a scanned copy of the published book as a 3 meg pdf file. 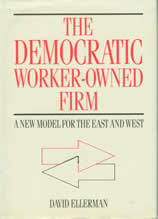 The Democratic Worker-Owned Firm. 1990, London: Unwin Hyman Limited (HarperCollins Academic). Out of print. Click here for revised English text of Chinese edition as a Word file. 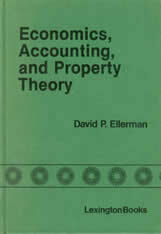 Economics, Accounting, and Property Theory. Lexington: Lexington Books, 1982. See papers on double-entry bookkeeping for the basic ideas. Click	on the title to download the book. Bill Greider's new book: The Soul of Capitalism: Opening Paths to a Moral Economy (New York: Simon & Schuster, 2003) makes significant use of the arguments against the employment or master-servant relation presented in my book: Property and Contract in Economics: The Case for Economic Democracy (Cambridge MA: Blackwell, 1992). A selection from Greider's book is given here. For further information about or purchase of his book, see his website: www.williamgreider.com . My book is long out-of-print but the rights have reverted to me so you can download it for free here.